Kritters Thoughts: Do you read lighter books when the weather starts heating up? If your answer is a yes, then grab this book and throw it in your beach bag! Evie Rosen is single and not quite happily single and when her job situation suddenly changes she is thrown into a spiral. Where she used to find a lot of personal value in her job, she is now having to reevaluate and refocus her life. With this, she is going to take an internet hiatus and put down the smartphone and log off of everything! Evie was a great character to spend a book with. She definitely had her moments and I wanted to tell her to buck up a few times, but it never lasted longer than I could handle! I was so thankful that Evie was both in pursuit of a relationship and the right career path - the book didn't focus on one or the other and I liked that. 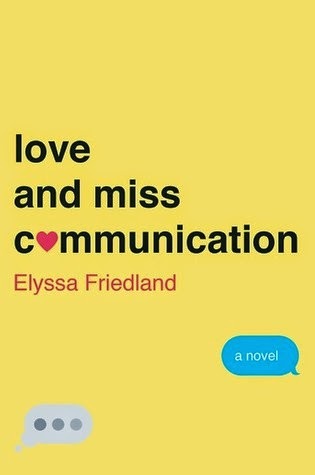 After reading this book, I realized how much time I spend online and how I text my friends instead of call and just end up spending hours trolling around the internet and could be doing other things. I made a pact with myself to limit my frivilous online time, but as my job revolves around the computer and online things, I can't do a complete cleanse! I would absolutely recommend this book if you have been reading some heavy things and need a break from it all. It was pure entertainment! Like you I can't do a complete cleanse but I have been making strides to limit my frivolous time. I feel really good about that change!